Most people known that vitamin C and vitamin E contains anti-oxidant effects, few know that mangosteen contains massive powerful antioxidant compounds, contribute to the human body re-constitution and physiological functions. Mangosteen deep purple rind is not only rich in anthocyanins and other nutrients, recent Scientific Research has revealed that it contains unique nutrients "xanthones". Two hundred naturally occurring xanthones have so far been identified, fifty of them have been discovered in the mangosteen fruit alone. Mangosteen rind exhibited a variety of biological activities containing anti-proliferative, anti-oxidant and anti-cancer effect. In a clinical study published in Japan in 2003, researchers found that mangosteen’s xanthones had inhibitory effects on the activity of blood cancer cells. From a research study in Thailand in 2004, mangosteen and selected eight medicinal plants were tested for anti-cancer activity. Researchers concluded that "the mangosteen showed the most potent anti-cancer activity among the medicinal plants being tested." We’re committed to use the best Mangosteen extracted from the best source, developed by our professional team. Every bottle is made of 30lbs of fresh mangosteen. We use the most-famously Mangosteen planted and hand picked in Chanthaburi Province of Thailand, the most renowed Mangosteen plantation area on earth. The mangosteens are further screened where the freshest and the juiciest ones are chosen among others. 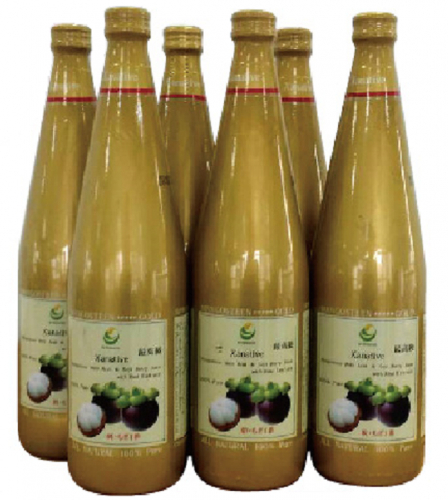 Our own developing team consists of food scientists, professors, French nutritionist and highly skilled professionals are working together to develop the best sourced pure natural mangosteen juice products. The Mangosteen pericarps which contains many natural healing compound Xanthones, with a number of biologically-active, natural chemical compounds. 100% natural, without any additives, contains no artificial preservatives, sugar or flavor, proven to be healthy for all ages. Mixed with 2% of Goji Berry and 3% of Acai Berry juices, each 100ml of O-Greenic Xanative pure mangosteen juices provides you with 4830 ORAC value of Anti-oxidant effects. A natural 100% pure juice fresh squeezed from the best mangosteen, with no added water, not from concentrated. Accredited of number of International certificates from SGS, GMP, HACCP, Halal as well as an ORAC lab report by the national institute of Thailand. Xanative is a renowned natural health supplement drinks in Japan for the uncompromising quality in the past 5 years. Study from Mahidol University in Thailand shown that Xanative Mangosteen Juice gives 33810 ORAC value per 70cl bottle, is proved to be filled with most powerful sources of anti-oxidant. 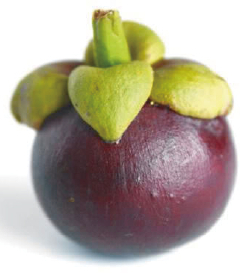 Mangosteen is not a drug, but a premium natural health supplement food. It has strong anti-cancer effects on human body, boosts up physiological function also a natural prevention of heart diseases, diabetics, Alzheimer and inflammatory. Let’s awake our body self-healing with the natural healthy properties. Please feel free to contact Simone by email at simone@sammill.com for any enquiry.